Let me start by saying I am not a fantasy football expert. 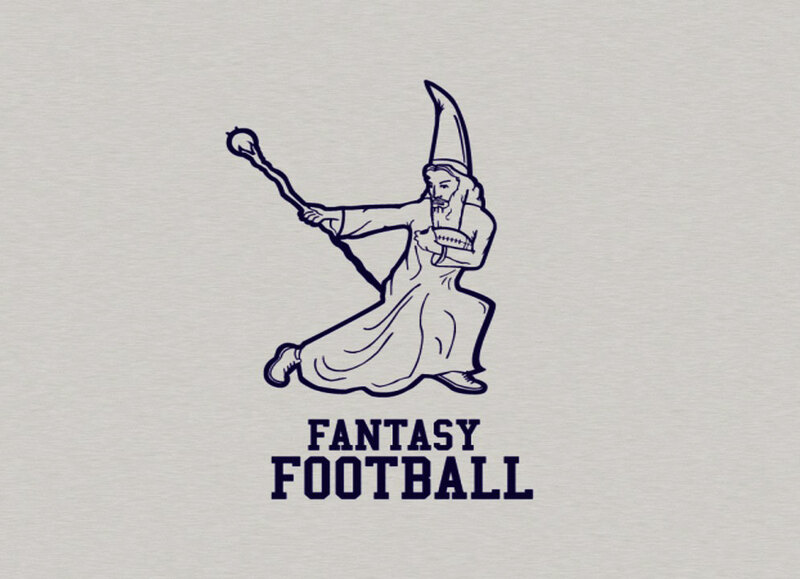 What I am is a very passionate and well-informed fan who has been playing fantasy sports for 12 years. On average, I play in six football leagues a year and finish in the money (top three) in about half of them. I have watched, read reports and/or analyzed the box score of every game this season and have identified a single player per team whose season-long fantasy stock has either gone up or down and the reason for the change. UP: Brown struggled out of the gate, partially due to lingering concussion issues. However, over the last two weeks he has led his team in receiving, totaling 16 catches and 214 yards. UP: Ryan followed up his hot start with a 503-yard, four-touchdown performance against the defending NFC champion Panthers. Although he has a tough schedule ahead of him, Ryan is proving to be one of the few matchup-proof QBs in the NFL. UP: The Ravens finally gave up on their running back by committee strategy and handed West the starting job. He responded with 113 rushing yards and a score, and appears to be their top option, especially now that the team has released Justin Forsett. DOWN: Watkins, who had offseason foot surgery, will miss at least the next eight weeks after being put on injured reserve and could possibly be out the rest of the season. This news makes him droppable in nearly every league. DOWN: Many experts expected Artis-Payne to be a useful fantasy asset once starter Johnathon Stewart got hurt. But in two starts he has been very unsuccessful, and with Stewart expected to return in the next few weeks, he is best left on your bench or not owned at all. UP: Howard got the start on Sunday in place of the injured Jeremy Langford and racked up 132 total yards while dominating touches in the Chicago backfield. He looks like a must-start at least until Langford returns and has the potential to keep the job if he continues to play well. DOWN: Eifert has yet to play this season because of an injury, but was expected to return to action for week five. He has since had a setback in his recovery, leaving his timetable uncertain. UP: The Browns have had significant injuries to a multitude of players and positions, leaving Pryor as the only remaining playmaker on the team. Combine that with star WR Josh Gordon entering rehab and Pryor’s ability to throw, run and catch the ball, you have a solid fantasy commodity. UP: Elliott has been a consistent contributor thus far in his rookie season, making significant improvements each week. Now that number one WR Dez Bryant is sidelined with a fracture in his knee, expect Dallas to lean on their talented youngster even more. UP: Lynch, another rookie, performed well in his first game action on Sunday after the Broncos starting QB injured his shoulder. With bye weeks already upon us, Lynch could be a valuable fill-in as long as he is starting, thanks to his ability to run as well as throw. DOWN: Tate was the anticipated top WR for the Lions after Calvin Johnson’s shocking retirement, but instead has been a complete bust, registering just 14 catches and 95 yards in four games. DOWN: The Packers were on bye this past week, but it didn’t prevent Cook from getting hurt. He could be out the rest of the season and wasn’t playing well to begin with. DOWN: Hopkins was a breakout star and weekly stud last season, leading to a second-round average draft position this year. But with the improvements his team made in the offseason, it appears he will no longer receive the high volume of targets that allowed him to be so successful. UP: Despite being the oldest RB in the league, Gore continues to produce solid numbers and needs to be started in nearly all leagues. DOWN: Ivory received a large contract from Jacksonville in the offseason but has been a complete bust thus far, gaining only 43 yards on the year. At best, he is just roster depth right now and is a viable drop candidate if roster space is scarce. UP: The Chiefs are off this week, but Charles finally returned to the field Sunday night, albeit in limited action. Coach Andy Reid has said the former all-pro will be a full go for their next game so the window to buy low is closing. UP: Ajayi lost the starting role in training camp to Arian Foster thanks to his uninspiring performance. In the meantime, Foster hurt his hamstring and groin, and the Dolphins have tried to replace him with a rotation of four players. Head Coach Adam Gase admitted the strategy was a failure and announced he will start Ajayi at least until Foster returns. UP: With perennial first-round fantasy pick Adrian Peterson likely out for the season, it wasn’t initially clear whether Mckinnon or Matt Asiata would take his place as the starter. After the former put up 95 yards and a touchdown Monday night, he is definitely the best option going forward. DOWN: Tom Brady’s suspension is finally over, meaning the Patriots will most likely go back to their pass-heavy offense, relegating Blount to primarily goal line work. UP: A rookie out of Ohio State University, Thomas has been the most consistent WR for the pass-happy Saints and figures to only improve as he gets further acclimated to the NFL. DOWN: After being taken in the first round of most fantasy drafts, “ODB” has failed to live up to the hype, largely due to his inability to maintain composure on the field and the emergence of other options within the Giants offense. UP: As the third option in the Jets passing game, Enunwa has put up surprisingly solid statistics. Now with Eric Decker sidelined with a shoulder injury, he slides into a starting role and offers significant upside. UP: Although teammate Amari Cooper is seen as Oakland’s lead WR, Crabtree has greatly outplayed him, including three touchdowns this past game. DOWN: Mathews’ extensive injury history has resurfaced in 2016 and will likely continue to lose touches to Wendell Smallwood, Darren Sproles, and Kenjon Barner. UP: Bell saw his first regular season snaps Sunday night after missing nearly a year because of injuries and suspensions and didn’t miss a beat, contributing 178 yards from scrimmage. He is a top two RB the rest of the season. UP: Like the Browns, the Chargers have been decimated by injuries in 2016, leaving Gordon as the best offensive player on the team. Barring injury, he offers top five upside at his position from week to week. UP: Kerley has put up decent numbers as the 49ers default number one WR but is really only a starting option in the deepest of leagues. UP: Presumed starter Thomas Rawls is out with a fractured leg and Michael has played well in the two games he has started. If he keeps it up, he could keep the job even when Rawls is healthy. DOWN: Gurley is one of the most talented offensive players in the league and was a unanimous first-round fantasy selection. However, the lack of options on the Rams offense allows defenses to focus solely on stopping him, drastically limiting his upside. UP: Plain and simple, the Tampa Bay defense can’t stop anyone and Evans has been the only successful option for the offense. These two factors combine to make him a top 10 WR nearly every week. UP: Murray was atrocious for the Eagles last season, leading to his trade to the Titans. He now looks rejuvenated and has been one of the top-scoring rushers of 2016. UP: Reed was the consensus number two TE before the season, but was a letdown until week four when he posted 9 catches for 73 yards and 2 touchdowns. He should continue to excel for the foreseeable future.